When he was born, Qamuruddin’s grandfather, muttered the first prayer of the Quran, bismillah al Rahman al Rahim (In the Name of God, Most Gracious, Most Merciful). 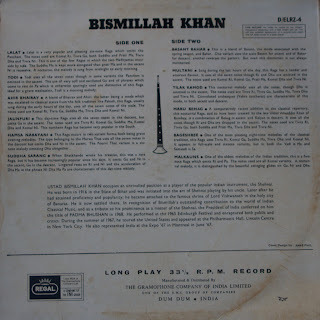 Henceforth, the child became known as Bismillah, and grew up to be the mighty Bismillah Khan, one of a handful of absolute paragons of Hindustani classical music. 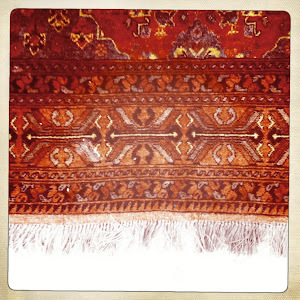 Bismillah Khan grew up from a young age in the holy city of Varanasi in the eastern end of Uttar Pradesh. His male family members had been musical servants of the minor royal family of Dumraon in Bihar, all of them playing the Indian ‘oboe’ played on all happy occasions, especially marriages and coronations. 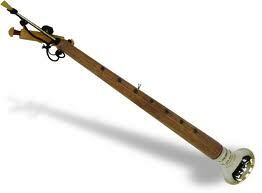 That the origins of the shenai (Indian oboe) have been traced to the pungi, blown by snake charmers all across northern India suggests the ‘commonplace’ nature of the instrument. 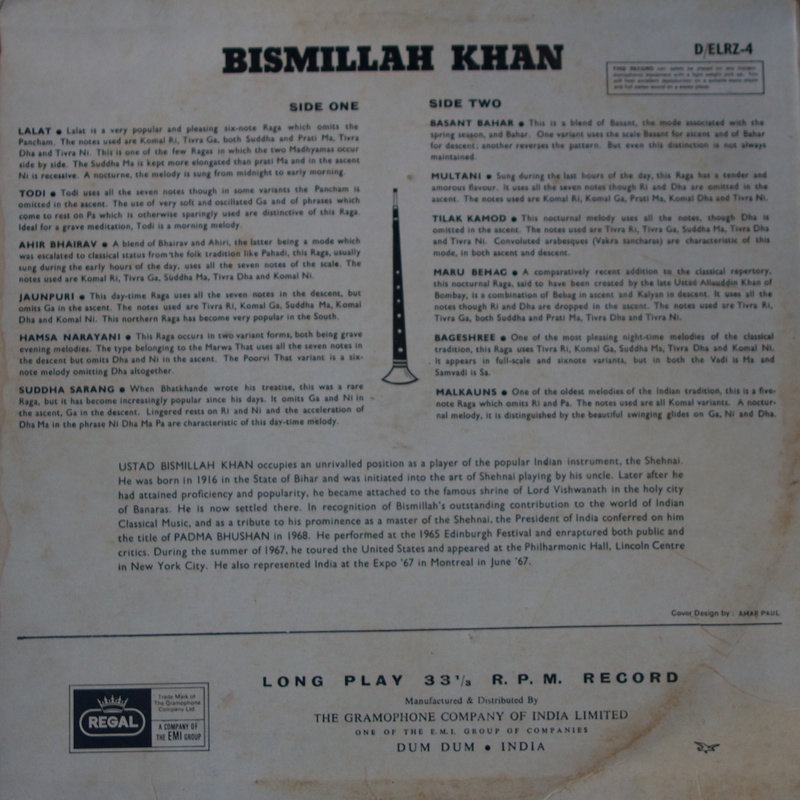 While it is an important part of the Indian orchestra and plays an important role in the observance of many public rituals, it was not until Bismillah Khan, popularised the instrument beginning with a virtuoso performance at the All India Music Conference in Calcutta in 1937, that it gained acceptance as a classical instrument. 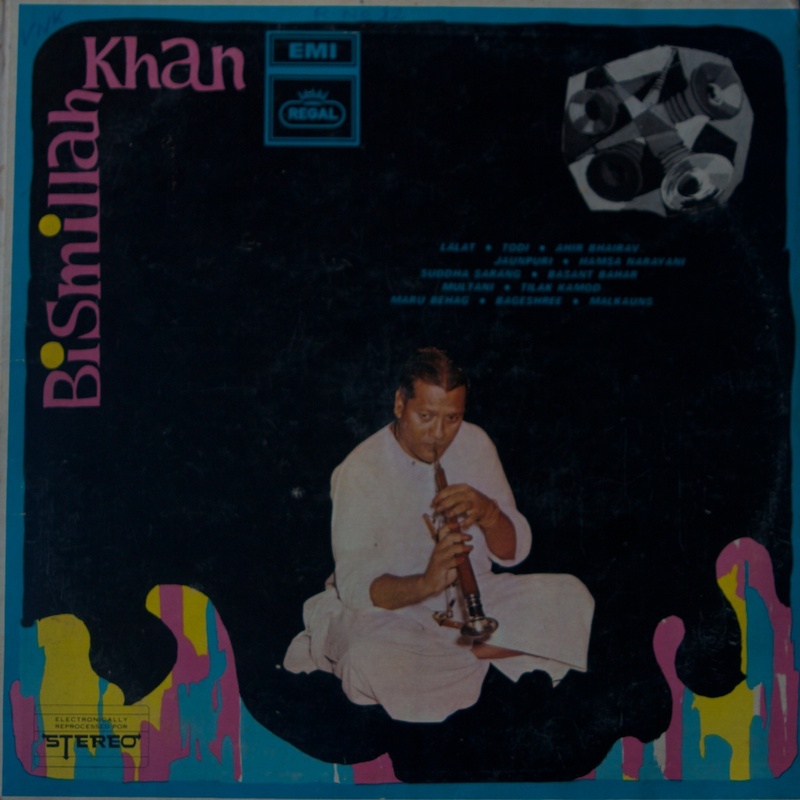 For eight decades Bismillah Khan promoted the shenai across the world, travelling frequently to the West as well as throughout Asia and Africa. Unlike most maestro’s he rarely took on students preferring to dedicate his energy to performance. Though a Shi’a Muslim, Bismillah Khan was a passionate advocate of the unity of all peoples, and championed Hindu-Muslim unity. As a non-Hindu he was ironically, associated with the grand Vishwanath Temple in Varanasi into which it is forbidden non-Hindus step, often being asked to play at festivals in the temple. 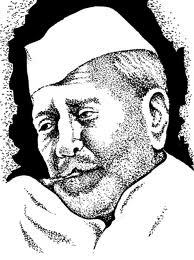 Similarly, he was a devotee, like all Indian musicians of the Hindu goddess, Saraswati, the deity of arts, culture and learning. I had the privilege of hearing him play in Lahore in 1986. It was at the Alhambra Center, the city’s main cultural venue that he entranced an audience, many of whom would have been born in India but had moved to Pakistan in the intervening years. They were rapturous in their applause. I remember thinking, as I watched him humbly accept the accolades, that he looked more like a neighbourhood tailor than a grand Ustad of Hindustani music. He seemed uncomfortable with the fuss being made over him and after a few courteous and stiff bows, hurried from the stage. And so he did. A dozen short ‘summaries’ of some of Hindustani music’s great ragas. A good way to be introduced to them and to listen to their difference. And to appreciate the wizardy of the man called Bismillah. ajnabi - thanks again. the 3 min length recordings could be from 78RPM? Never thought of that. Could be right. i inherited this LP from my dad, who bought it in the early 60's. so assumed they were 78RPMs anyway. not one of my favorites, but a very good 'learning' recording - something like bade ghulam ali's thumri collections. Sorry .. link deleted .. plz update n oblige.